She is not the only one who struggles to maintain a conversation with a loved one with memory loss. The inability to retain new information and disorientation to time and place can make it difficult to find topics to talk about. My friend’s use of a scrap book is a great idea. 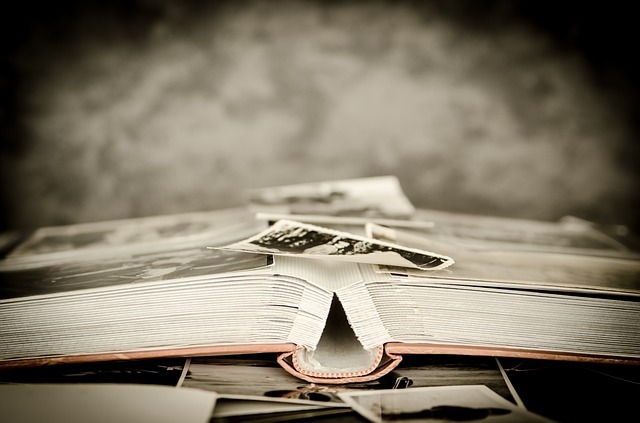 In the same vein, old photo albums can be a wonderful prompt during a visit with someone whose long term memory remains intact. Sometimes it will be enough to leaf through the pages together. Often you both get more out of the experience if you ask questions about the photos or materials that you are looking at. For example, if you are looking at a picture of a relative or friend that you did not know well, you can ask, “Tell me about Cousin Joe.” Such questions can lead to a detailed reminiscence that allows a reliving of a happy friendship. When looking at memorabilia or pictures of parties, you might ask about favorite parties, the types of clothing worn or the food that was usually served. Be careful to ask open-ended questions that do not require a specific answer, so that your loved one doesn’t feel stressed to come up with the “right” answer. 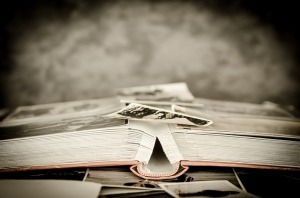 Are your old photo albums in a state of total disrepair that make it impossible to leaf through them? Scan the remaining photos and load them onto a computer tablet to bring with you for a visit. These tablets provide high resolution images and most people with memory loss have an easier time seeing the images and they enjoy “turning the pages” on a tablet with a swipe of a finger. There are a few potential pitfalls to reviewing old family photos. If your loved one served in a war, it is possible that war photos will bring back difficult memories. Similarly, some people can get very sad looking at pictures of loved ones, most of whom are no longer alive. However, most people like the chance to speak of the people and times that gave them great joy. And the sharing of a moment of joy can be the best present you can give or get.